A New Weekly Quests will now be available every week on Thursday at 1 PM UTC. Each Weekly Quests are Hand-Crafted to be very challenging for high Reputation Players. The first completion in a week guarantees one exclusive reward drop for the last Hero played. Other completions after the first one, only grants a chance of reward, still prioritized for the last hero played. Weekly Quests reward pool consists of an exclusive effect (idle/emote/execution) for all 22 characters. We are lowering the difficulty in Arcade mode by reducing the high Rarity Quests penalty and also improving the Gear Score bonus when having a higher Gear Score. Developer Comment:Thanks to the early Data and community feedback gathering, we’re doing a first round of difficulty adjustments in Arcade. This is a first step while the team is actively working on the Bots Level 3 behaviors for Arcade mode to reduce their difficulty. Each Wu Lin receives 7 new weapons sets. Each of 12 original Heroes receives 1 new armor variation. [Bug Fix] Fixed multiple crashes that were occurring during Breach matches. [Bug Fix] Fixed an issue that caused the Bleed Visual Effect to disappear when applying 2 bleeds consecutively. [Bug Fix] Fixed an issue that caused the most Heroes to reorient to a dead opponent if no other target are in range. [Bug Fix] Fixed an issue that caused the Warden’s “Valiant Breakthrough” to not be properly synchronized with its animation. [Bug Fix] Fixed an issue that caused the Conqueror’s Left Heavy attack to have a different animation while performed out of Stamina. [Bug Fix] Fixed an issue that caused the Conqueror’s “Shield Bash” to be missing its Unlockable Visual Effect. [Bug Fix] Fixed an issue that caused the Raider’s “Raider Fury” to play the wrong animation when killing the opponent with it. [Bug Fix] Fixed an issue that caused the Valkyrie to have to block animation when blocking Pikemen's in Full Block Stance. [Bug Fix] Fixed an issue that caused the Centurion’s "Jab Combo" to not have Unblockable visual effect when performed after "Lion's Bite". [Bug Fix] Gladiator's Zone Attack now has 100ms of Guardbreak vulnerability to make it consistent with other Zone Attacks. 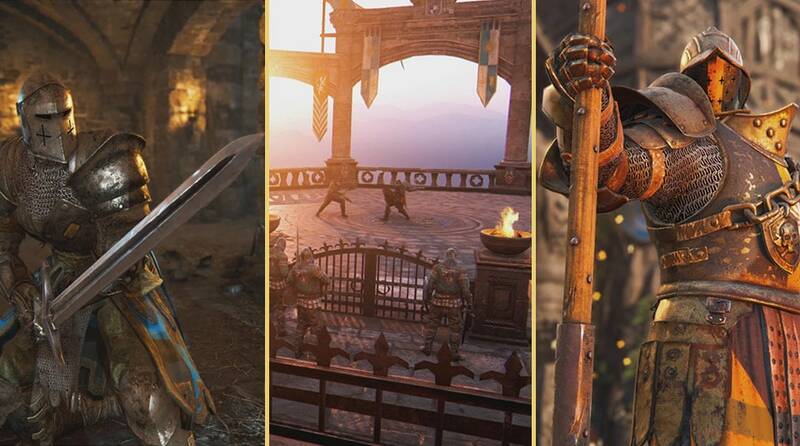 Since it had no frames of vulnerability to Guardbreak, some players could perform a Zone Attack on reaction to a Guardbreaks and interrupt it. [Bug Fix] Fixed an issue that caused the Gladiator to be vulnerable to Guardbreak while in a falling animation when parried by an opponent Revenge activation. [Bug Fix] Fixed an issue that caused the camera to get out of focus when performing certain mix-ups. [Bug Fix] Fixed an issue that caused a third player to be double bumped if the Highlander throws an opponent towards him. The bumped player can be an ally or an opponent. [Bug Fix] Fixed a bug that allowed the Aramusha to perform a Zone Attack when missing a Left Heavy Opener. [Bug Fix] Fixed a bug to make Rushing Wind behave the same when chaining after hitting or being blocked. [Bug Fix] Fixed an issue that caused the Tiandi to get pushed back after hitting a dodging opponent with a side Heavy Attack followed by “Top Dragon Dodge”. [Bug Fix] Fixed an issue that caused the Tiandi’s Top Heavy to become off set while performed Out of Stamina. [Bug Fix] Fixed an issue that could cause the Tiandi’s “Dragon Kick” to make his opponent float while being thrown off. [Bug Fix] Fixed an issue that allowed the Shaolin to dodge back diagonally. [Bug Fix] Fixed an issue that caused the Shaolin to T-pose after feinting a Top Heavy Attack and performing a light attack from the sides. [Bug Fix] Fixed an issue that caused the opponent to have no failing animation when the Shaolin performs “Blessed Projection” on an opponent that is mid air. [Bug Fix] Fixed an issue where the Nuxia’s “Jade Ballet” could fail to do damage when the bound opponent is slightly too far away. [Bug Fix] Fixed an issue that caused the Nuxia to use the alternate Hooksword instead of the one that has initiated the attack when performing a Heavy Attack while out of Stamina. [Bug Fix] Fixed an animation issue with the Nuxia parry while she and her opponent are out of Stamina. [Bug Fix] Fixed an issue that caused a delayed Hit Recovery when the Nuxia performs a Light Attack Chain on an Orochi performing Hurricane Blast. [Bug Fix] Fixed an issue that caused the Jiang Jun to pull-in far away locked-on opponent through "Dao Shi's Choke" after parrying the second hit of external Jiang Jun's "Twofold Slash". [Bug Fix] Fixed an issue that caused the Jiang Jun’s “Cancel Might Sanction Kick” to not bump players that would stand behind the kicked opponent. 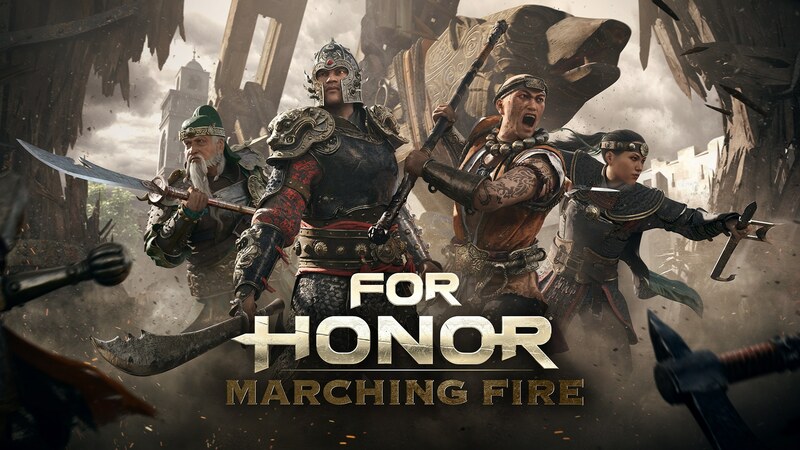 [Bug Fix] Fixed an issue that caused the Jiang Jun’s "Mighty Sanction" to not connect after throwing an opponent that is out of Stamina. [Bug Fix] Fixed an issue that caused the Jiang Jun’s "Twofold Slash" to hit behind him after being deflected by an assassin. [Bug Fix] Fixed an issue that caused the Jiang Jun’s Zone Attack to sometimes pass through the opponent without hit him. [Bug Fix] Fixed an issue that caused the Jiang Jun’s "Tiger Claw Choke" to be performed on the external attacker after a parrying him. [Bug Fix] Fixed an issue that caused the Jiang Jun’s "Dou Shi's Choke" to not be performed on an external parried opponent. [Bug Fix] Fixed an issue that caused the Jiang Jun’s "Scheming Wind" to skip an animation during the second Light Attack. [Bug Fix] Fixed an issue that caused the Jian Jun’s “Dou Shi’s Choke’ to continue even after being hit by a projectile feat. [Bug Fix] Fixed an issue that caused the opponent of the Jiang Jun to not fall off ledges when hit by “Cancel Might Sanction Kick”. [Bug Fix] Fixed an issue that caused the Jiang Jun’s "Dou Shi's Choke" to not have an Unblockable icon in the move set. [Bug Fix] Fixed a bug where the perks “Galestorm”, “Crush Them”, “Remedy” and “Rapid Refresh” would not trigger on an Out of Lock environmental kill. [Bug Fix] Fixed an issue that caused the “Bear Trap” and the “Throwing Axe” feats to not remove the 20% damage buff of “Early Reaper” and “Crush Them”. [Bug Fix] Fixed an issue that caused “Early Reaper” and “Crush Them” damage buff to be applied when hitting allies. [Bug Fix] Fixed an issue that caused “Radiant Rebound” timer to start before gaining Hero control on respawn. [Bug Fix] Fixed an issue that caused “Head Hunter” to give more Health that expected. [Bug Fix] Fixed an issue that caused “Bulk Up” to consume a portion of the “Shield Up” upon reaching a new renown level. [Bug Fix] Fixed an issue that caused the Tiandi's “Sacrifice” feat erroneously give allies infinite stamina for 25 seconds, it now only refills their stamina. Developer comments: The infinite stamina behavior was not intentional and was due to a minor mistake that slipped though the cracks. [Bug Fix] Fixed an issue that could cause the Shaolin to go out of bounds while using his “Blessed Projection” feat. [Bug Fix] Fixed an issue that caused healing feats to be triggered twice on the King, only the first tick would trigger twice. [Bug Fix] Fixed an issue that caused the Tiandi Bot to not continue the "Backhand Flurry" and "Typhoon Whirl" moves if the player dodges the first Heavy Attack. [Bug Fix] Fixed many issue that caused incorrect information to be displayed, for example "Too Late" is displayed instead of "Interrupted" if the player is interrupted while entering Hidden Stance. [Bug Fix] Fixed an issue that caused players to be unable to use Ziplines after interacting with the Offering. [Bug Fix] Fixed an issue on the Shaolin that could cause his staff to be offset after picking up the Offering. [Adjustment] We faded out all the trees blocking the view while in Tactical View. [Adjustment] We faded out all the Rooftops in Breach that were blocking the view wile in the Tactical View. [Adjustment] In Breach, we introduced a “Shield Up” animation for the Pikemen. This animation will trigger when the Cauldron is activated and on some feats. [Bug Fix] Fixed an issue that caused players to become stuck at the top of the ladders in multiple maps. [Bug Fix] Fixed many navigation issues across all Breach maps. [Bug Fix] Fixed many collision issues across all maps. [Bug Fix] Fixed an issue that caused the players, in phase 1, to snap to the right ladder leading to the 1st Capture Point while using the left one. [Bug Fix] Fixed issue that caused a wrong animation when approaching a specific location in this map. [Bug Fix] Fixed a collision issue that occur near Capture Point C.
[Bug Fix] Fixed a visual issue that occurred at Capture Point C.
[Bug Fix] Fixed an issue that caused the player to be able to push his opponent out of bounds near the Attacker Spawn point. [Bug Fix] Fixed an issue that caused the Kensei bot to be unable to use Zone Attack. [Bug Fix] Fixed an issue that could cause the player to remain stuck on the Reporting Player screen. [Bug Fix] Fixed an issue that caused players to be unable to use voice chat if they didn’t select a team at the beginning of a Custom Match. [Bug Fix] Fixed an issue that caused the Hero to have no facial animation in the Customize Screens. [Bug Fix] Fixed an issue that caused a Gender change to be applied on all Loadouts. [Bug Fix] Fixed an issue that caused animations to stutter on the Wu Lin’s while rotating the camera when playing emotes. [Bug Fix] Fixed a bug where you could see through the shoulder piece from the “Qixi”, “Dahan”, “Xiayuan” and “Shangsi” chests pieces. [Bug Fix] Fixed multiple cosmetic issues on multiple heroes on the emote “Rock! Paper! Scissors!”. [Bug Fix] Fixed multiple cosmetic issues on multiple Heroes on the emote “Recognition”. [Bug Fix] Fixed multiple cosmetic issues on multiple Heroes on the emote “Ready to Rumble”. [Bug Fix] Fixed multiple cosmetic issues with many execution across all Heroes. [Bug Fix] Fixed an issue that caused the Player to remain stuck in the in-game menu if the controller gets disconnected. [Bug Fix] Fixed an issue that would display Unassigned for the “Return” button while accessing the “Quick Setting” in the Arena. [Bug Fix] Fixed an issue that caused the “Interactive Scoreboard” to not close when pressing F5 button if the “Interactive Scoreboard” is already open. [Bug Fix] Fixed an issue that caused pressing SHIFT+F2 to activate Uplay Overlay to trigger F2. [Bug Fix] Fixed an issue that caused the Order menu on postmatch screen to disable the text chat. [Bug Fix] Fixed an issue that caused the Mute/Unmute option to not be functional in the Audio tab when clicked with mouse. [Bug Fix] Fixed an issue that caused the Steam Controller Executions buttons to show Keyboard Button Prompts. [Bug Fix] Fixed an issue that caused Window size to not change after changing the Screen Resolution. [Bug Fix] Fixed an issue that caused "System below minimum requirements" warning to be displayed on systems with Nvidia RTX Cards.